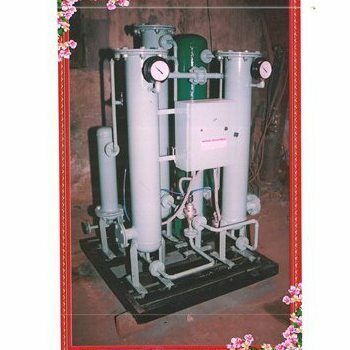 We are one of the foremost manufacturers, exporters and suppliers of a high quality range of Industrial Equipment, such as Industrial Conveyor, Refrigerated Air Dryer, Chiller, Air Dryer, Storage Tank, Piping Air Conditioning, Storage Bin, Pressure Vessel, Heat Exchanger, Pallets Trolley, Pressure Vessels, Heat Exchangers, Air Cooling Systems, Pneumatic Conveying Systems, Solenoid Connect To Control Valve, Nitrogen Plant, PSA Nitrogen, Air Piping, Piping & Air Conditioning, Pneumatic Conveying System etc. These products are manufactured in a hi-tech division under the supervision of experts with full accord to the defined industry standards. The offered collection is readily accepted all across the Indian Subcontinent for its optimum durability, reliability and longer service life. These products are prefect in all dimensions as we have designed them with high precision. We are backed by rock solid infrastructural facilities and a crew of dedicated industrial experts that empowers us to consistently manufacture, export and supply unmatched quality products like Industrial Trolleys, Nitrogen Plant, Storage Bin, Air Cooling Systems, Air Dryers, Heat Exchangers and Pressure Vessels. Our product range is fabricated from high grade basic material that is sourced from some of the reliable vendors of the industry. In addition to this, the quality controllers hired by us inspect the equipment to prevent the dispatch of low quality products.